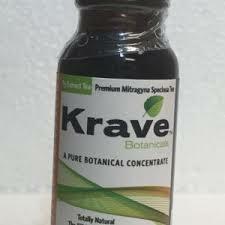 Why, Buy Krave Kratom ? Krave Kratom has a strong effect on anxiety, mood and energy levels. It lowers your anxiety level, while the feeling has been described as happy, strong, and active, with a strong desire to do work. The mind is described as calm, Effects come on within five to ten minutes. After use of Krave Kratom, the Effect can last for several hours. Lets Vape & Smoke Shop KC is premium store to buy Kratom, CBD or other Mood enhancing herbs as well as Tobacco, E Juice, Shisha Tobacco, Hookah tobacco, And Electronic Cigarettes, Concentrate Pen, E Mods, E Hookahs & Much more.. Storage information: Store this product in a cool dry place. This product is not intended to diagnose, treat, cure or prevent any disease. Ingredients: Filtered Water, Vegetable Glycerin, Myrrh, Citric Acid and Berry Flavoring, Mitragyna Speciosa, Chamomile, Red Raspberry, White Willow, Ginseng, B-12, Myrrh, Cinnamon, Elderberry. Supplements Facts: Serving Size 2fl oz (59ml), Calories 85, Sodium 4mg, Total Carbohydrate 21g, Sugar 21g, Proprietary Blend 1079mg. Warning: Do Not Consume if Breastfeeding or Pregnant, operating a motor vehicle, have a history of heart disease, liver disorder, high blood pressure, medical history or take medications. Use responsibly. The manufacturer of the misuse of any its affiliates take no responsibility for the misuse of any botanical product. This product has not been evaluated by the FDA. Keep out of reach of children. Not for sale to persons under 18.